These chillingly familiar words begin the classic Christmas tale of remorse and redemption in A Christmas Carol by Charles Dickens. Now R. William Bennett rewinds the story and focuses the spotlight on Scrooge’s miserly business partner, Jacob T. Marley, who was allowed to return as a ghost to warn Scrooge away from his ill-fated path. Why was Marley allowed to return? And why hadn’t he been given the same chance as Ebenezer Scrooge? Love, sacrifice, forgiveness!! What a great book! I can’t wait to watch and read The Christmas Carol with this new insight. Loved this book! 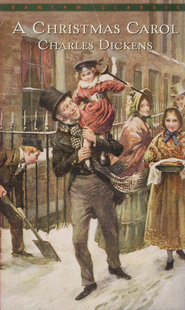 I love A Christmas Carol, and this book was the perfect companion to it. The interaction between the mortal realm and the spiritual realm was beautifully portrayed. I listened to the audiobook and the narrator was excellent. He really added to the story for me. I will be listening to this book or reading it every Christmas along with A Christmas Carol! I wasn't sure I'd like this book but nothing could be further from the truth. Deep emotions came to me as I listened and sometimes I cried. In my opinion it was a wonderful companion to the Christmas Carol and shed new depth and light to that story of scrooge. What a beautiful story of softening of hard hearts, repentance, and friendship and love. I'm so grateful I found this book! I absolutely love it and will likely give to others. well done to the author! impact of decisions we make on a daily basis. I highly recommend this book. A new (to me) Christmas favorite. This is the Christmas Carol story told through the eyes of Jacob Marley. Written in 2011, it captures the full Dickens experience! The performance made all the difference in my enjoyment. I really love this book! I bought two audio CDs, one to keep and one to lend to others. It takes a while to get into the story, but If you stick it out, it is definitely worth it. In an entertaining way, it helps me think about life choices and repentance. I listen to it at least once a year. This book has such a great message! We're all familiar with A Christmas Carol and this book tells the "rest of the story." We learn about Jacob T. Marley's background, what the "T" in his name stands for, how Marley and Scrooge met, and why Scrooge became the miser we all know him to be. Then we learn more about the night when Scrooge's heart is changed and he decides to become a better man, what Marley's role was that night and what became of him afterward. We learn about the remainder of Scrooge's life and how he's able to redeem himself. I felt that the author did a great job conveying the anguish Jacob Marley felt when he realized his role in molding Ebenezer Scrooge into the man he was and his willingness to do whatever he needed to in order to fix it. This is the kind of story that causes me to reflect on my life and ways to make it better. I tend to be "busy" quite a bit and don't always make time for human interaction. There is always someone to listen to, give service to and show kindness to and it's important to help those who cross my path. I love how this book adds to A Christmas Carol and love that the message is one that will resonate no matter what time of year it is. 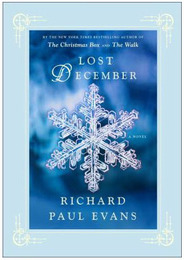 If you love A Christmas Carol, this is a book you will definitely want to read! I sometimes have a hard reading books like this that go back and take an original story and offer another take on it. But I found myself really enjoying this one. It's a very thought-provoking look at redemption and forgiveness and making choices that lead us to become what we do. Jacob T. Marley let his pride and greed get the better of him at great harm to himself and everyone he came in contact with. And when he and Scrooge met up they had the same flaws and they fed off each other making things worse. And until the day he died Marley never once stopped to think about how his choices had shaped his life. As he lay dying, he watched Scrooge manipulating his way into Marley's house, he realizes for the first time how much harm he has done. Obviously we don't really know why Marley does what he does in the original story, A Christmas Carol, something changes that leads him to want to prevent Scrooge from ending up in the same sort of situation. Bennett gives the reader a look at what might have been. I found myself thoroughly enthralled with the portrayal of Marley as he seeks to help Scrooge take a different path. And in the end he does something that during his mortal life he would never have done. Frankly it had me in tears. The story is so well told and beautifully highlights the joys of serving those around us and that the true treasures in life don't revolve around money. A story of bad choices, remorse, and change that becomes possible through the sacrifice of our Savior. A novel truly worthy of the Christmas season. Worth reading any time, not just at Christmas. I worked all my life in Law Enforcement. I mingled with some hardened people and became a tough person. After living 63 years, few things bring tears to my eyes. This story of Jacob T. Marley has touched my heart and reached deep into my soul. You better have a box of tissues handy. Jacob Marley’s story is brought to light in this thoughtful an inspiring tale. You will learn the heartbreaking circumstances that bring Jacob and Ebenezer together. Jacob is a beloved child, the youngest. Life brings successes, struggles and choices that set him on a bitter course. What causes a agreeable young man to turn inside himself and reject all others? Through the heart of Jacob T. Marley a new story unfolds. Delightfully written, and skillfully crafted in the “Dickens’s style”. More than mere fiction, it gives cause to reflect upon your past, present and future. Destined to become a Christmas Classic. Will become a NEW Christmas Classic! One of the best books I have read containing profound principles of living that can change the world as we each embrace and act on the wisdom, soul by soul. I am going to admit something: I have never actually read the book A Christmas Carol by Charles Dickens (I have seen multiple movie version of the story, most often the Mickey Mouse version) I am not really sure why, to be honest, but after reading Jacob T. Marley, you can be certain that I will be reading the classic Dicken's tale this December. Jacob Marley is the ghost who ushers in Scrooge's night of redemption, by visiting and warning him of the fate that awaits Scrooge if he does not change, and telling him of the visitors who would be visiting him that night. But, what do we know of Marley other than his being much like Scrooge in his business practices. Why was Scrooge given a change for redemption, but Marley was doomed to an eternal life of torment? In the book Jacob T. Marley by R. William Bennett we learn more of Marley, his life, and his death. We see his side of what happened that Christmas Eve night. I truly enjoyed this book, written in a style that echoes Dickens (even though I have not read A Christmas Carol, I have read Dickens :) ). It is a tale of heartbreak and sorrow as well joy and changing hearts. Jacob T. Marley is quick read that is certain to put you in the Christmas mood. 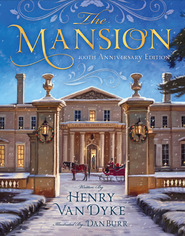 Written in the classical style this book answers the age old question “what about Marley?” Who doesn’t know the story of Ebenezer Scrooge? Who hasn’t wondered about the man who saved him? This is a book of the highest quality with a genuine story that will touch the hearts of all who read it. It will be the new Christmas Classic that everyone will want in their Christmas collection! "Jacob, love does not prosecute. It seeks neither revenge nor dominance. It does not win at the cost of someone else's loss. Love only accepts, completely and without reservation." "If we find we lack faith in ourselves or in others, we can at least have faith in the trustworthiness of nature, that at the appointed time, the horizon will lighten in grand prelude to the sun throwing its morning shafts into our lives." A new tradition for me! I thoroughly enjoyed this book and definitely plan to add it to the annual reading tradition in my family. I have been a life-long fan of Ebeneezer Scrooge, and this book did not disappoint! Loved it! Jacob T. Marley is a congruent story to the Dickens classic A Christmas Carol. Compelling narrative from Scrooge’s dead partner, Jacob Marley; how did his life lead him to haunt Ebenezer Scrooge on that fateful Christmas Eve? Ironically enough, Jacob is allowed to help Scrooge see the errors of his ways when Marley himself was dumb to the opportunities presented in his mortal life that would have eliminated the immortal chains that bound him in death. Jacob reflects on his past life and decisions that doom him to eternal wanderings of misery. As he wanders, he is faced with the consequences of his greed and the effects on everyone he inflicted his ‘goodwill’ on. A twist of fate on his death bed sends Marley on a mission to rediscover what he missed learning of mercy as a mortal. In conclusion, the stories of Marley and Scrooge are much the same though each finds his own way to find mercy, love, and redemption. I appreciated the ending of the book that tied Scrooge’s and Marley’s fates together and again reflects the meaning of Christmas.